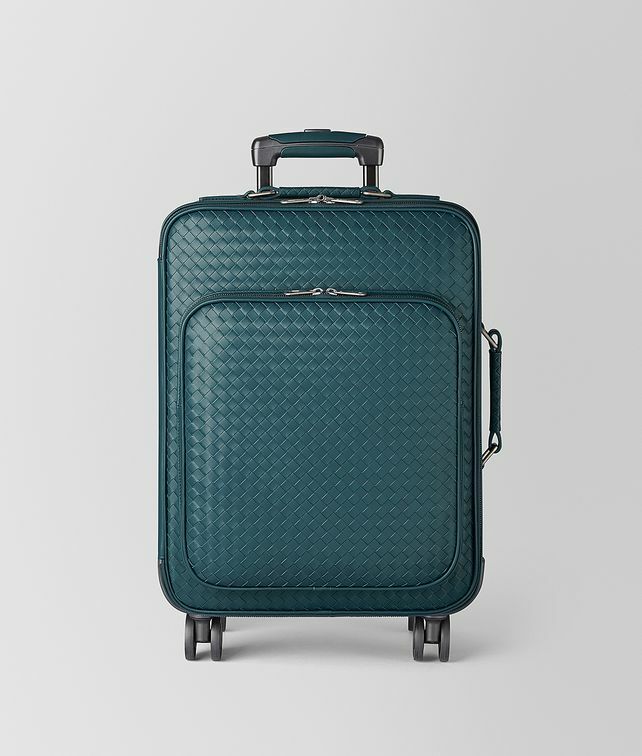 Hand-crafted from intrecciato VN leather, this wheeled carry-on is designed to be lightweight and easy to maneuver. The style features four wheels with 360° rotation, a multistage Lock-it retractable handle, plus side and top handles for easy lifting. The interior is divided into two organized compartments, featuring an ample zipped section and adjustable straps to keep your clothes wrinkle-free. The detachable internal pouch can be used as laundry bag or to safely stow small belongings. 360° rotation 4 wheels Height: 55 cm | 21.6"